They belong to the first and youngest Section in the Scouting family. They are easily recognised by their distinctive turquoise sweatshirts, Beaver Scouts enjoy making friends, playing games, going on visits and helping others. They usually meet together once a week in a Beaver Scout Colony. There are loads of fun things that you can do as a Cub Scout. They wear their green cub jumper full of badges! They get the chance to try lots of different activities like camping, hiking, day trips, swimming, music, exploring, computing, fire lighting, collecting and more. Scouts take part in a wide range of activities from archery to expeditions. There are many awards which they wear on their navy uniform. 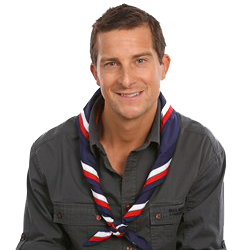 The programme of activities encourages Scouts to find out more about the world in which they live, know their own abilities and try something different. Explorer Scouts often get the chance to work with other Explorer Scouts in their District, so can take part in an even wider spectrum of social and adventurous activities.There is also a range of awards, including The Queen's Scout Award and the Duke of Edinburgh's Scheme. We are always seeking more support in our Beaver, Cub, Scout & Explorer sections. Whatever skills you can offer we would be pleased to hear from you! We appreciate that not everyone can commit on a regular basis and we are flexible to fit with whatever commitment you can offer. Full training will be given and there is always lots of help and support available from all our existing leaders. 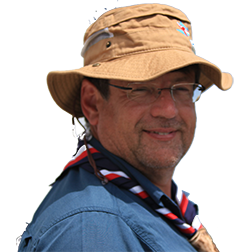 If you would like a chat, without any obligation, why not see what you can do for Scouting and see what Scouting can do for you? The 1st Alsager Scout Group provides a safe place for boys and girls aged between 6 and 18 years to come and have fun. Since 1908 our group has been an active part of the local community, helping young people join in the adventure. To find out more about Scouting and the fun you can have with our group, please browse our pages.